Wollotuka began in 1983 as a support program for Indigenous Australian students on what was then the campus of Newcastle College of Advanced Education (NCAE). The program not only survived the years of change – when NCAE became the Hunter Institute of Higher Education and subsequently amalgamated with The University of Newcastle – it thrived. 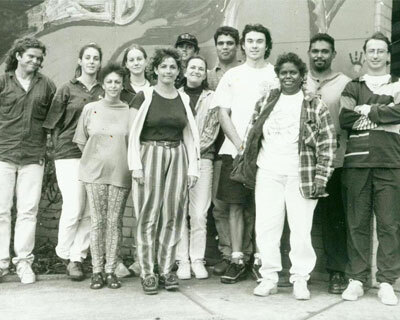 By the beginning of the 1990s Wollotuka had expanded its operations beyond student support and had commenced the design and delivery of courses aimed at enhancing Aboriginal and Torres Strait Islander participation and equity at the University of Newcastle. The first course to be offered was the Aboriginal Bridging Program (since replaced by the Yapug Aboriginal and Torres Strait Islander Enabling Program). Over the same period, the Indigenous Australian Medical Students Program was established at the University of Newcastle and produced its first graduates by 1990. Wollotuka's role continued to grow and by the late 1990s Wollotuka had positioned itself as the main provider of Aboriginal Studies courses to both Indigenous and non-Indigenous students at undergraduate and postgraduate levels of study (in courses other than Medicine). We were the first institution in NSW to introduce a mandatory Aboriginal Education unit within the Graduate Diploma of Education. In 1999, the University of Newcastle offered a Bachelor of Aboriginal Studies (Wollotuka now also offers a major in Aboriginal Studies in the Bachelor of Arts and Bachelor of Social Science). As well as teaching and curriculum development roles, Wollotuka provided ongoing support services to all Aboriginal and Torres Strait Islander students studying at the University of Newcastle. In 1993 the University adopted the Aboriginal and Torres Strait Islander Special Entry Policy which addressed selection procedures for entry of Aboriginal or Torres Strait Islander people to the University. 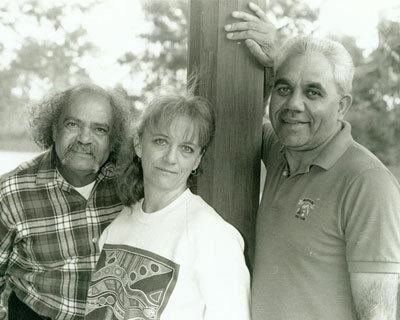 In late 1996, Wollotuka secured Commonwealth funds to establish an Indigenous Australian Higher Education Research Centre (subsequently named Umulliko) which commenced operations in 1997. An external review of the University's Aboriginal Education and Research Training programs in 1999 recommended that the operations of Wollotuka and Umulliko be merged. It was believed that all programs would benefit from being located next to each other, which further reinforced the longstanding Indigenous viewpoint that Wollotuka had outgrown available accommodation space. It also fitted in with the University's foreshadowed plan to provide more appropriate accommodation for the programs. After an institution-wide major restructure across the institution in 2001, the University began to move towards forming a School of Aboriginal Studies with the newly formed Faculty of Education and Arts and committed funds to provide a free standing building to meet the accommodation needs of the School. In April 2002, the first students and staff moved into the unique new building, which is called Birabahn in honour of both the Eagle-hawk totem of the Awabakal and the Awabakal scholar by the same name. The official opening was seen as an important milestone in Aboriginal and Torres Strait Islander education and was celebrated in October 2002 as part of an Indigenous Australian Cultural Festival. The building's surrounding native plant landscaped gardens and ponds were constructed by CDEP workers engaged through Yarnteen Aboriginal Corporation. 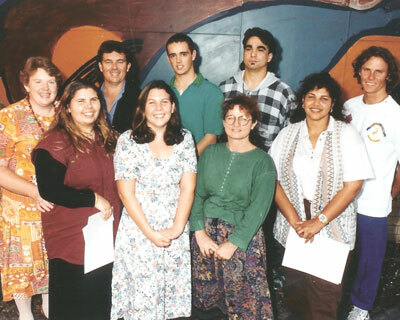 Late in 2002, Gibalee, the Indigenous Education Centre on the Ourimbah Campus officially merged with the Wollotuka School of Aboriginal Studies and Indigenous academic activity at The University of Newcastle increased further through the collaborate efforts of Indigenous Student Support, Wollotuka's academic area, Umulliko, Yapug and the Discipline of Aboriginal Health. Since then, Wollotuka has offered programs across the University's three major campuses, from access, through undergraduate degrees to postgraduate doctoral programs. As part of a University change program in 2005, Indigenous Support separated from the Wollotuka School of Aboriginal Studies to report directly to the Deputy Vice-Chancellor (Academic). However, over the next few years this separation was seen to be disempowering for Indigenous Education and in late 2008 discussions between Indigenous staff of both the Support Unit and School and senior management of the University led to the formation of a new Indigenous Unit which would sit under the Academic Division and report via three co-Directors to the Deputy Vice-Chancellor (Academic and Global Relations). The Wollotuka Institute was officially formed in early 2009 with the merger of the School, Support Unit, Indigenous Employment and Indigenous Health.